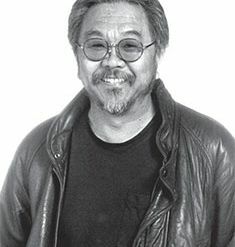 himomura is an artist whose work addresses socio-political issues of Asian-Americans specifically inspired by personal experience as a child held with his family in a “camp” during World War II and 56 years of diaries kept by his late immigrant grandmother. Senior Exhibition I: 2006 Reception: Sunday, March 26, 2-4 p.m.
(Sabbatical Exhibit) An exhibition of work created by Professor of Art John Blosser during his 04-05 sabbatical. Reception: Friday, Sept 30, 6-8 p.m.
John Running Johnson, sculpture Reception: Feb. 13, 2-4 p.m. John Running Johnson, a Michigan sculptor, works with wood and steel. John Sherman, graphic design Reception: Jan. 9, 2-4 p.m. Creating a panel using language as metaphor, Sherman communicates the universality and individuality of redemption.